Are your servers bloated with petabytes of old files? We help organizations find, categorize, archive and retrieve information. Apply retention policies to email, documents and other unstructured data. Even in highly-disciplined organizations, digital clutter accumulates rapidly. We build information governance roadmaps that accommodate your unique challenges. 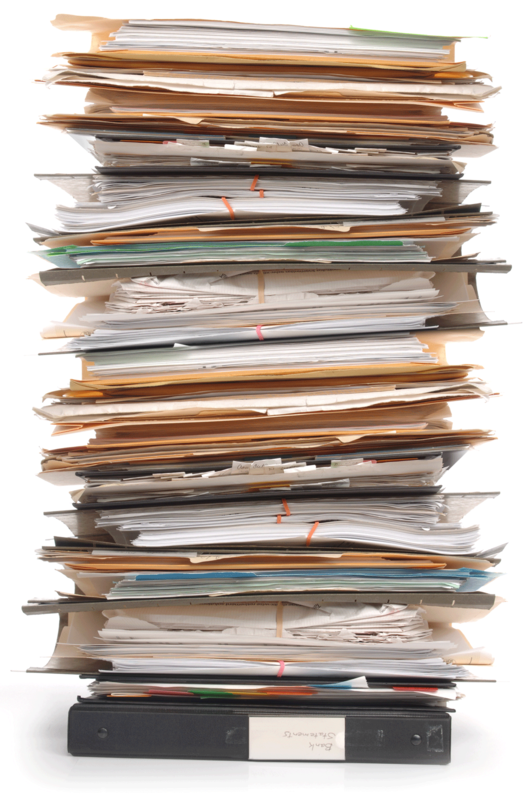 Create a sustainable records management program. Get non-biased advice about vendors and solutions. Clear up storage space and reduce legal risk. Get expert help with your next records project! People create 2.5 quintillion bytes of data every day... and that number is growing. Smart devices are driving huge growth in data storage requirements. That only includes primary storage, not networked or cloud storage. How much poor data quality costs US companies per year. Looking for data, correcting errors and confirming sources. According to Nucleus Research, every dollar invested in an electronic content managment system proves a return of investment of $7.50.